You didn’t have the chance to get a copy of the tour-only CD „Steve Sings Bob“ by STEVE WYNN? Don’t worry, it’s now exclusively available for European customers through the Blue Rose webshop at www.bluerose-records.com. Just click the sign with the mailboxes and scroll down until you see this cover. „Steve Sings Bob“ is a collection of various covers of Dylan songs that Steve has recorded since 1982 with his extended family of musical pals – The Dream Syndicate (1982+1988), Steve Wynn’s Loose Change (2005), Steve Wynn & Friends (1993), Steve Wynn & The Miracle 3 (2003), Steve Wynn with the Alejandro Escovedo Band (2002), Steve Wynn Quintet (1990), Hazel Motes (2007) und Steve Wynn & Jason Victor (2005). Extensive liner notes to each song are printed in the package. Kommentare deaktiviert für Exclusively available in Europe at the Blue Rose webshop: Steve Sings Bob by STEVE WYNN ! New live album available by ELLIOTT MURPHY! Murphyland Records announces the release of a classic live Elliott Murphy recording accompanied by his virtuoso French guitarist (and for over 22 years his musical partner) Olivier Durand entitled Elliott Murphy Is Alive! Recorded at the famed Brussels concert hall Ancienne Belgique in 2008, fans still recall this particular show as a magical concert that was begging to be released as a live album. Elliott Murphy Is Alive! captures the incredible musical synchronicity of two road-warrior musicians who drive their sold-out public to frenzy merely on the strength of two precise acoustic guitars, heartfelt vocals and a superb selection of songs. Kommentare deaktiviert für New live album available by ELLIOTT MURPHY! 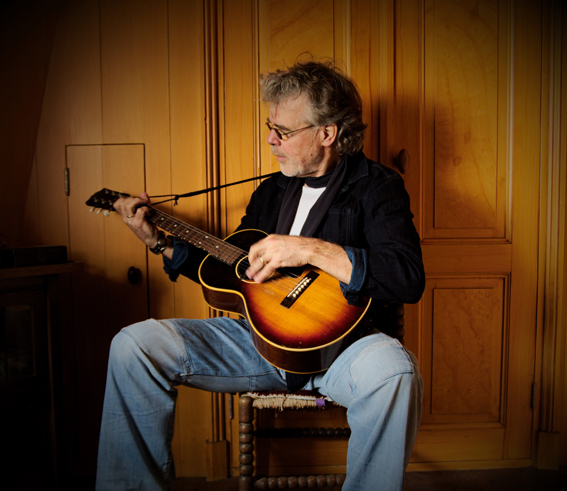 AD VANDERVEEN declares on his new Blue Rose album: I Was Hank Williams ! 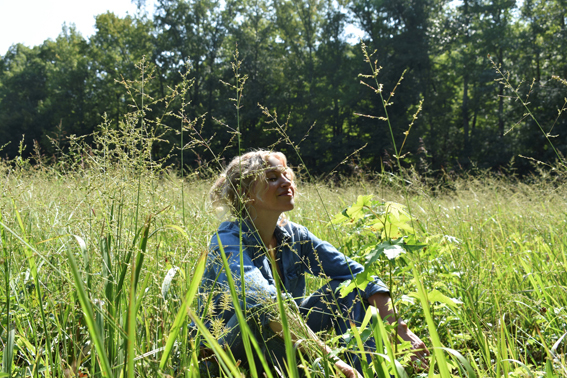 Reminiscent of works like John Steinbeck’s Travels With Charlie or Bruce Springsteen’s Nebraska, the new album I Was Hank Williams by songwriter and singer Ad Vanderveen is a personal quest and an adventure. It is a quest for self-knowledge leading to spirituality, and an investigation into the origin of a dream. A dream that is old and has led the writer down a long road of countless songs and many records. It has a strong fascination for the new world, and is anchored in the old one. Remarkable of Vanderveen’s work may be the insights and influences of Eastern philosophy, which he has studied and practised for years, that shine a special light on different subjects, within a musical context of a distinct Western character. This year there’s even two: Where the previous releases, the diptych of Worlds Within (2017) and Denver Nevada (2018) were characterized by somewhat more extensive production and arrangements than is Vanderveen’s usual MO, for I Was Hank Williams there was a more minimal, direct and diverse approach. Voice and guitar, poem and music, remain center stage and keep the listener close to the content of the songs. Around that, charming and effective embellishments of horn and string arrangements, harmony vocals and old rootsy string instruments are weaved throughout the album, as well as ambient soundscapes enhancing the songs‘ atmospheres. According to Ad: ‚A song should be able to stand on its own feet and come across without any bells and whistles, otherwise I don’t see the point in what I’m doing. It strikes me as disproportionate how much music seems to revolve around production, arrangement and even marketing these days. It’s like the packaging is more important than the content, while a song in itself is already something magical and miraculous; a poem and a message with a melody, a rhythm and a title – something complete with a distinct own identity, like a world you can live in‘. Kommentare deaktiviert für AD VANDERVEEN declares on his new Blue Rose album: I Was Hank Williams ! After three years the BOTTLE ROCKETS are back with the new album Bit Logic ! 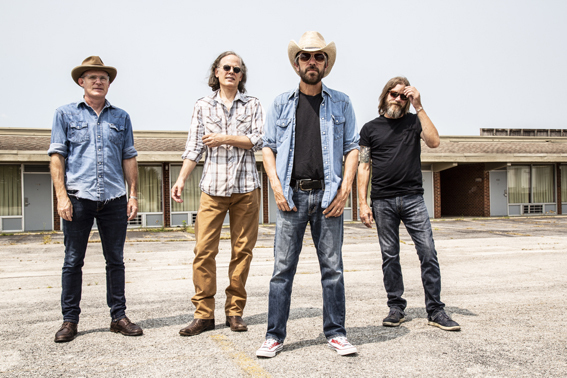 Formed nearly 30 years ago, the Bottle Rockets helped forge a now-popular subgenre-small-town, middle-class, Midwest American roots rock-part right-to-the-gut poetry, part rock ’n‘ roll, all truth. Bit Logic is a different sort of album for the St. Louis natives and shows them at their most self-aware, self-challenging, and socially alert. Recorded in St. Louis at Sawhorse Studios, engineered by Mario Viele and produced by longtime studio collaborator Eric „Roscoe“ Ambel (The Del-Lords, Steve Earle), the Bottle Rockets‘ 13th album has them looking at their unique stylistic blend through a different lens. While one of the group’s earmarks is constructing blue-collar anthems, Bit Logic has the quartet focusing outside themselves, at how change and adaptation affects the bigger picture. „We were not planning any kinda ‚theme‘ to this album, but one kinda showed up,“ said lead singer and guitarist Brian Henneman. „If it’s about anything at all, it’s an album about existing in this modern world. Trying to dodge depression and anger. These songs are views from the moments when you’re mostly succeeding at it.“ Yet, to balance those times when success may seem just a breath out of reach, the album includes the infectious pop masterpiece „Maybe Tomorrow“ which offers an optimistic and buoyant outlook on momentary failure. Kommentare deaktiviert für After three years the BOTTLE ROCKETS are back with the new album Bit Logic !